On April 29th 1977, The Jam released their debut single, 'In the City'. It reached Number 40 in the May UK charts, beginning a streak of 18 Top 40 singles for The Jam. 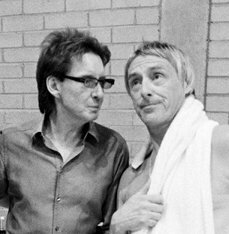 The song earned The Jam a loyal fan base, many of which are still dedicated followers of Paul Weller's career nearly 40 years later. To be amongst the first to hear about Paul Weller's new signed limited edition, INTO TOMORROW, you can register your details below.